Symphony Nova Scotia presents concert of Bach and Handel with world-renowned Baroque performers Alexander Weimann and Suzie LeBlanc – ALMOST SOLD OUT! Symphony Nova Scotia partners with Halifax star soprano Suzie LeBlanc and Baroque specialist Alexander Weimann for a blockbuster concert of music from Bach and Handel on Sunday, March 29 at 2 pm at St. Andrew’s United Church in Halifax. Alex Weimann is one of the world’s most in-demand Baroque specialists, while Suzie LeBlanc is both a local favourite and an international star. Together with Symphony Nova Scotia, they’ll perform some of Bach and Handel’s best – including Bach’s delightful Wedding Cantata and arias from beloved Handel operas like Xerxes, Alcina, and Rinaldo. Another concert highlight will be Bach’s beautiful Fifth Brandenburg Concerto, featuring Weimann as both conductor and harpsichord soloist. The Concerto will also feature Symphony Nova Scotia’s own superb soloists Renaud Lapierre (violin), Patricia Creighton (flute), and Suzanne Lemieux (oboe). “This concert with Symphony Nova Scotia and Suzie LeBlanc is one I am particularly looking forward to,” says Weimann. “Not only is it a welcome opportunity to make music with my dear friend and colleague Suzie again, the pieces also beautifully feature some of the outstanding soloists from the orchestra. Tickets for this concert are very limited! Prices range from $49-59 (HST included), and $15 for under-30s. Or, you can pick up a ticket package and save up to 30%. Call 902.494.3820 or visit symphonynovascotia.ca. 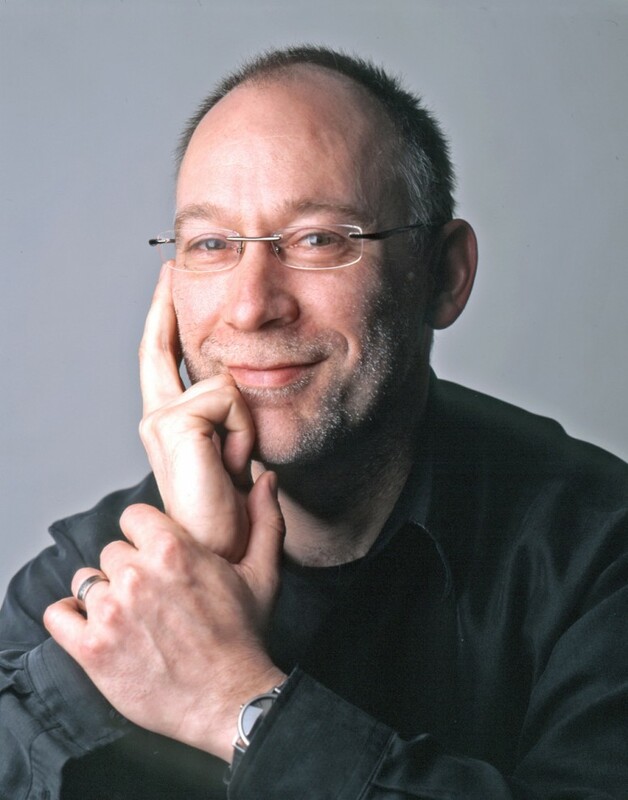 Alexander Weimann is one of the most sought-after ensemble directors, soloists, and chamber music partners of his generation. After traveling the world with ensembles like Tragicomedia, and as frequent guest with Cantus Cölln, the Freiburger Barockorchester, Gesualdo Consort, and Tafelmusik, he now focuses on his activities as conductor of the Pacific Baroque Orchestra Vancouver, and as Music Director of Les Voix Baroques, Le Nouvel Opéra, and Tempo Rubato. Recently, he has conducted the Montreal-based baroque orchestra Ensemble Arion, Les Violons du Roy, and the Portland Baroque Orchestra Oregon; both the Orchestre Symphonique de Québec and the Montreal Symphony Orchestra have regularly invited him as their featured soloist. In recent years, he has explored new shores by repeatedly conducting the Victoria Symphony, including Mozart’s piano concerto Jeunehomme, and also Symphony Nova Scotia, most recently with Handel’s Messiah. After working as an assistant conductor at the Amsterdam, Basel, and Hamburg opera houses, he has directed productions of Pergolesi’s La Serva Padrona with the Freiburger Barockorchester; Pepusch’s Beggar’s Opera at the Castle Theatre in Gotha; Handel’s Orlando Furioso and Stradella’s Moro per Amore at the Teamtheater in Munich; Telemann’s Passion oratorio Seliges Erwägen at the Europäische Wochen festival at Passau; Caldara’s Clodoveo and the multipart opera event Mozart à Milano in Montreal, Vancouver, and at the Sanssouci Palace Theatre in Potsdam; and Handel’s Resurrezione, Rameau’s Pygmalion, Purcell’s Fairy Queen and King Arthur, Monteverdi’s Vespers, and 2012’s Orlando by Handel. Weimann can be heard on some 100 CDs, and frequently on the radio in many countries. He made his North American recording debut with the ensemble Tragicomedia on the CD Capritio (Harmonia Mundi USA), and won worldwide acclaim from both the public and critics for his 2001 release of Handel’s Gloria (on the Canadian label Atma Classique). Volume 1 of his recordings of the complete keyboard works by Alessandro Scarlatti was nominated for an Opus prize as the best Canadian early-music recording. In 2007 his recording of Buxtehude’s Membra Jesu with Les Voix Baroques won an Opus prize and was nominated for a Juno Classic Award. The same year, he recorded Caldara’s oratorio Clodoveo (also nominated for a Juno), and both conducted and performed as fortepiano soloist with the German ensemble Echo du Danube in the first recording of concertos by Wagenseil. In 2008 he recorded Bach’s Clavierübung II and Scarlatti’s keyboard works, Volume 2. He also released an Opus award winning CD of Handel oratorio arias with Karina Gauvin, a recording of Bach’s St. John’s Passion with Tempo Rubato, and various albums with Les Voix Baroques. His latest album with Karina Gauvin and Arion Baroque Orchestra (“Prima donna”) won a Juno in 2013. Alexander Weimann lives with his wife, three children, and pets in Montreal, and tries to spend as much time as possible in his garden and kitchen. Internationally renowned Acadian soprano Suzie LeBlanc has carved out one of the most unique profiles of any Canadian soprano, with a career that includes not only recitals and performances around the world with orchestras, opera companies, and new, early, and traditional music ensembles, but also a widely-acclaimed acting performance as the protagonist in Rodrique Jean’s film Lost Song – named one of Canada’s Top Ten films of 2008 at the Toronto International Film Festival. Lost Song also won the City of Toronto – CityTV Award for Best Canadian Feature Film at the Festival. She has received four honorary doctorates for her prolific and widely acclaimed performances of early music, as well as for her contribution to Acadian culture, with three recordings and a documentary. Recently, she commissioned eleven Canadian compositions set to the poetry of Pulitzer-Prize recipient Elizabeth Bishop. She began her career as a well-known performer and scholar of Baroque repertoire, exploring and recording a substantial amount of previously unpublished material. Residing in Europe between 1987 and 1999, she performed on main stages such as Het Concertgebouw, De Nederlandse Opera, The Vienna Konzerthaus, Wigmore Hall, and the Proms in London. She toured with world leading European early music ensembles such as The Consort of Musicke, The Hilliard Ensemble, Fretwork, The Amsterdam Baroque Orchestra, La Petite Bande, The Purcell Quartet, Tragicomedia, Cappella Brugensis, and Teatro Lirico, working with conductors and collaborators Ton Koopman, Sigiswald Kuijken, Richard Egarr, John Toll, Emma Kirkby, Rachel Podger, and Stephen Stubbs. During this time, she also taught at the Musikhögskolan in Malmø (Sweden), taught summer courses in Finland and Hitchin, and gave master classes at the Royal College of Music in London. In 1998, she was invited to perform for the former president of Czechoslovakia, Václav Havel, at the Canadian Embassy in Prague. Since returning to Montreal in the year 2000, she has performed the lead in the opera Il Coronazione di Poppea at the Opéra de Montréal with conductor Yannick Nezet-Seguin, worked with Kent Nagano and the Montreal Symphony on a programme of Japanese songs, performed in Jonathan Miller’s staging of Bach’s St. Matthew Passion at the Brooklyn Academy of Music (NY) and performed with major symphony orchestras on both sides of the border. She has taught at the Banff Centre for the Arts and the Orford Arts Centre, and was the baroque vocal instructor at the Université de Montréal for four years. Her recordings, numbered at 70, have received international praise and several prestigious awards: a Grammy award for Lully’s Thésée and a CINI award (Italy) for the opera Orfeo by Sartorio, in which she sings the leading role. She has recorded for ATMA, Analekta, Harmonia Mundi, Hyperion, Chandos, Teldec, and Das Alte Werk, among others. In addition to her busy schedule as a performer and recording artist, Suzie LeBlanc is artistic director of Le Nouvel Opéra (www.lenouvelopera.com), and the honorary patron of the Elizabeth Bishop Society of Nova Scotia. Born in Montreal, Renaud Lapierre first began playing the violin at age five, and studied with Raymond Dessaints at the Conservatoire de musique de Montréal. He went on to receive his Bachelor’s and Master’s degrees in Performance under Anne Robert at l’Université de Montréal and also a Diplôme d’Études Supérieures Spécialisées (DESS) with teacher Vladimir Landsman. Previous appointments as Concertmaster include the Orchestre de la Francophonie canadienne, Orchestre de l’Université de Montréal, Orchestre symphonique du Saguenay-Lac-Saint-Jean, and the Orchestre symphonique de Sherbrooke. He also held the position of Principal Second Violin for Symphony Nova Scotia in 2011/12, and is now Concertmaster of Symphony Nova Scotia. Patricia Creighton has been Principal Flute of Symphony Nova Scotia since 1984. She has performed with many illustrious musicians from around the country and is well known to audiences around the Maritimes. Her extensive repertoire spans from baroque to modern in solo, concerto, chamber, and orchestral literature, and she also plays Latin, world music, some jazz, and enjoys improvising. She has been recorded and broadcast many times over the years on CBC regional and national radio. Patty won many prizes at an early age in the Kiwanis Music Festival provincially and nationally. She also was the wind category winner in the Guelph Spring Festival Competition and the DuMaurier Search for the Stars in her early years of flute playing, and a Canada Council B Grant to pursue further studies at the Banff Centre for the Performing Arts. She received a Bachelor of Music from the University of Toronto with teachers Nora Shulman and Jeanne Baxtresser. She has also had individual masterclasses and/or lessons with Jean-Pierre Rampal, James Galway, Marcel Moyse, Samuel Baron, Robert Aitken, Robert Cram, William Bennett, Jeanne Baxtresser, and Julius Baker. Patty studied for many years intensively with the legendary French pedagogue Louis Moyse. As a chamber and orchestral artist, Patty has performed with such distinguished artists as Julius Baker, Robert Cram, Anton Kuerti, Peter Allen, Jeanne Lamon, Georg Tintner, Denise Djokic, Bernhard Gueller, Suzie LeBlanc and many others. She is a regular guest artist with the Scotia Festival of Music and has performed for most Nova Scotian concert series and the Kincardine Summer Music Festival in Ontario. Outside of Canada, she has performed concerts in the U.S., Germany, Yugoslavia, Switzerland, Czechoslovakia, and Mexico City. In July 2013, she world-premiered a new commissioned work for flute and piano by Halifax composer and pianist Peter Allen. A second performance of the work was given in October 2013 as part of the Dalhousie University Department of Music’s Chamber Music Series. In November 2013, Patty gave a solo flute recital with pianist Peter Allen for the Garden Room Series in Wolfville, Nova Scotia. In 2014, she taught flute and performed concerts at the InterHarmony International Music Festival. This festival offered music students intensive lessons and chamber music coaching for performances during the Festival, which takes place in Arcidosso, Tuscany, Italy. Patty invited flutists to study with her there for an unforgettable musical and traveling experience. Aside from a busy performing schedule, Patty shares her love of music by teaching flute at Dalhousie University’s Department of Music. She also teaches privately and gives seminars and master classes. Patty has released five albums, and has received Music Nova Scotia’s “Best Classical Album” nomination, as well as several other nominations. Patricia Creighton currently performs on a flute and headjoint custom-made for her by Wimberly Flutes. For more information, please visit Patty’s website at: www.patriciacreighton.com. Oboist Suzanne Lemieux has performed as guest soloist with Symphony Nova Scotia in more than twenty different programs. She has delighted audiences with repertoire from all eras of classical music, from the Baroque to the contemporary. She has performed Bach’s Concerto for Oboe and Violin with Jeanne Lamon, was featured soloist at Lincoln Center’s Avery Fisher Hall with Maestro Alexandros Myrat and the CityMusic Cleveland Chamber Orchestra, premiered Marjan Moxetich’s Oboe Concerto with Ottawa’s Thirteen Strings, and was soloist with the Atlantic Sinfonia. As well as being Principal Oboe of Symphony Nova Scotia, Suzanne is an active chamber musician. She has been a guest of the Penderecki String Quartet and the Quatuor Arthur-LeBlanc, and was invited to the Prince Edward County Chamber Music Festival in Picton, Ontario. She also played recitals at the National Arts Centre’s Fourth Stage and Salon. She is a returning guest artist at the Scotia Festival of Music and has participated in the Indian River Festival and New Brunswick Summer Music Festival on several occasions. She has toured with soprano Wendy Nielsen and pianist Robert Kortgaard for Debut Atlantic. Suzanne Lemieux has commissioned and premiered many pieces by Atlantic composers and enjoys working with non-traditional ensembles. She has performed with Halifax’s progressive pop band Mir and more recently collaborated with hip-hop artist Buck 65 and the Nova Scotia Youth Orchestra in Dinuk Wijeratne’s Hymnpeace. As a musician of Symphony Nova Scotia she has been “adopted” by several schools in Halifax and together with classrooms of children has created new pieces that have been performed in the Rebecca Cohn Auditorium. Suzanne holds a Bachelor of Music degree from the University of Ottawa, where she studied with Rowland Floyd, and a Master of Music from the University of Michigan, where her teacher was Harry Sargous. Other influential teachers include Maurice Bourgue and Richard Killmer.